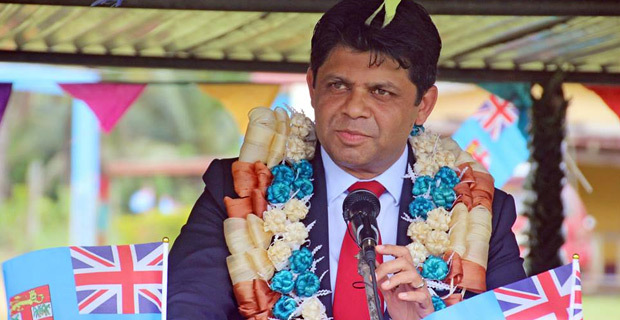 Attorney General Aiyaz Sayed-Khaiyum says although Fiji has had four constitutions since it’s independence, the 2013 constitution ensures equality for all citizens for the first time in the country’s history. While speaking to students, teachers and parents during the Fiji Day celebrations at Lagalaga Primary School in Labasa today, Sayed-Khaiyum says everyone should always be loyal to their country and should always put their country first. Sayed-Khaiyum says the government has also made education free because the country has a young population. Sayed-Khaiyum also said that the road in the Lagalaga area is very rough and the Fiji Roads Authority already has a plan to fix it soon. He says this is not an elections promise but it is in the FRA plan. The Attorney General says the Lagalaga area will also have electricity by next year as the designs and planning works are underway.